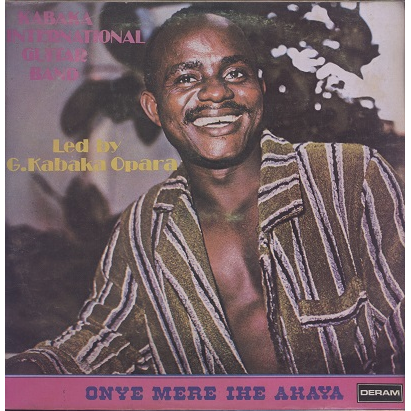 Rare Nigerian guitar Highlife on rare French pressing. Check the infectious uptempo title track. Sleeve has moderate seam wear, some light dirt and yellowing at back cover. VG+ labels with small humidity stains. Record looks clean but has a hearable mark on side B, at end of track 1 / start of track 2. Still a very enjoyable copy!